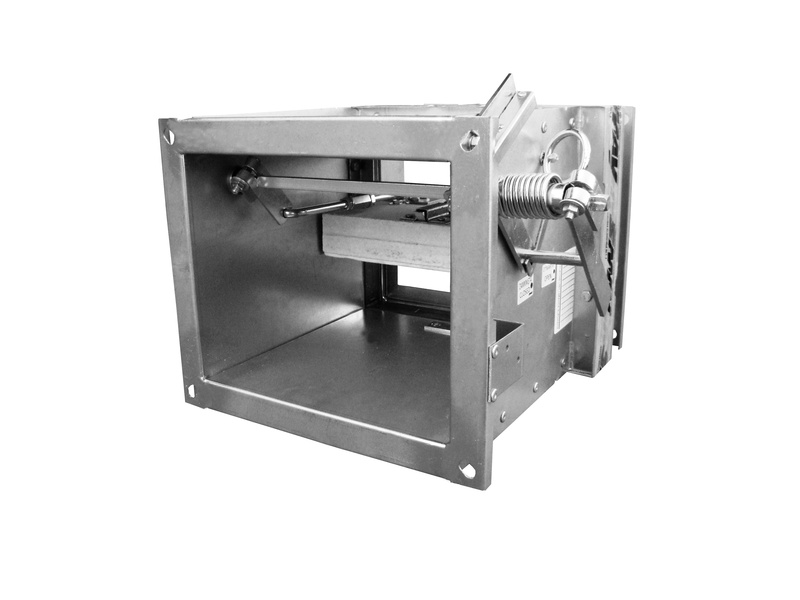 Smay KPO120 fire dampers are designed for installation in ventilation installations acting as a shut-off barrier, separating the zone covered by fire from the rest of the building, protecting it against the spread of fire, temperature and smoke. 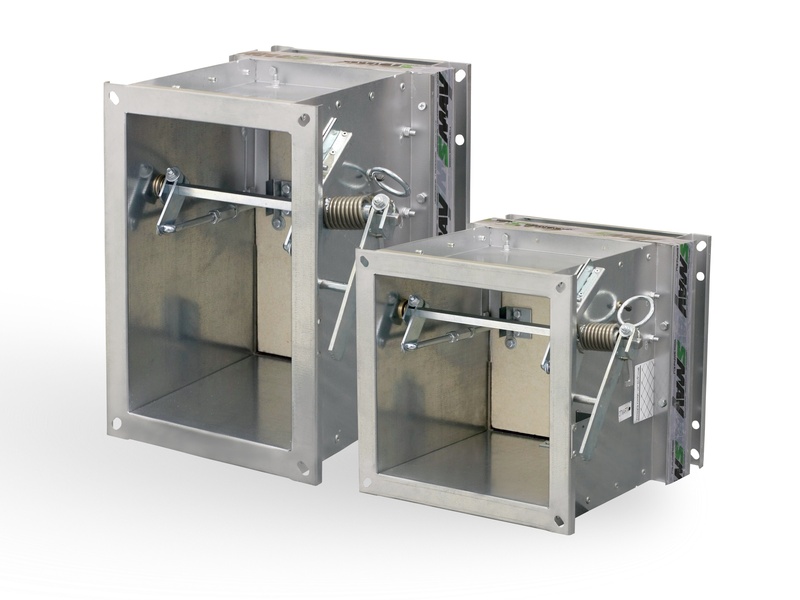 These dampers are symmetrical flaps designed for horizontal installation (in walls) and vertical (in ceilings). 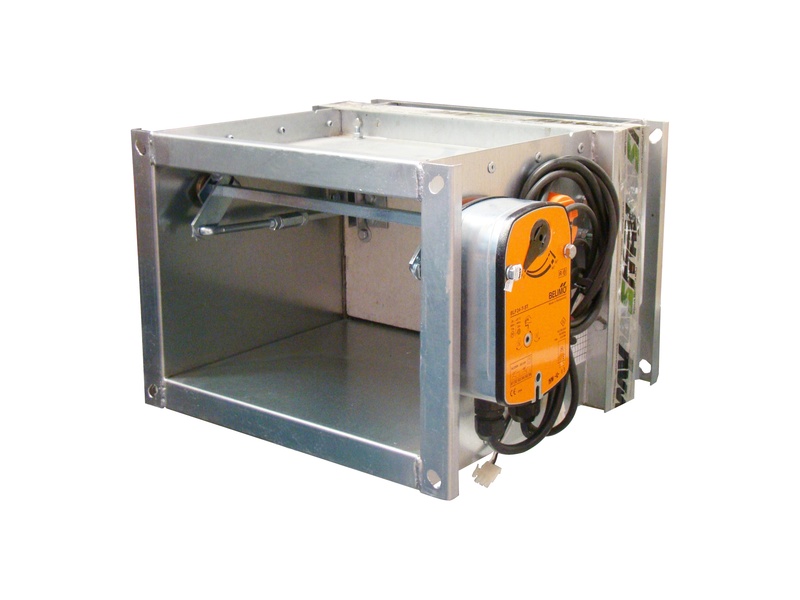 They can be installed in all types of building partitions, including plasterboard walls. 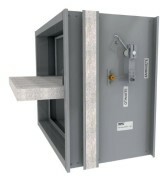 The dampers are made of galvanized sheet, with dividers made of fireproof material. 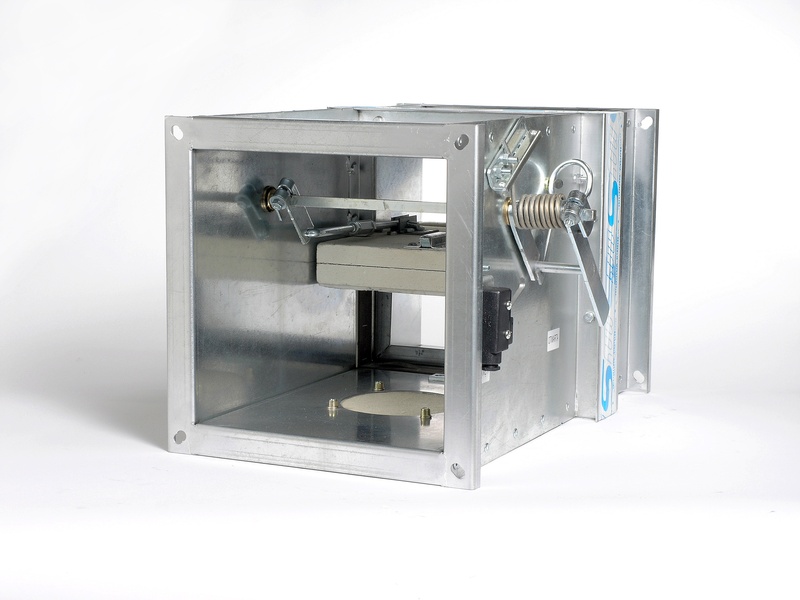 The partition inside the damper is closed by means of a drive spring (version KPO120-S) or an electric actuator (KPO120-E). KPO120 are designed for use in dry and filtered air systems. Both types of flaps can occur in two standard lengths: L = 350 and L = 500. For structural reasons, the economic execution (L = 350 mm) has no inspection openings. Note! Valuation of flaps on individual order. 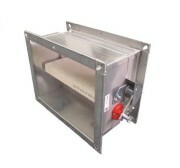 The manufacturer makes to order any intermediate flap size included in the series of types.